The starting point for every kitchen renovation project should be doing your budget. Without it, you may not get the kitchen you want. With a budget, however, you can ensure you get everything that’s important to you while maximising every dollar you spend. Below are some things you should consider when deciding a kitchen renovation budget. Make Sure You Do a Budget – It all starts with ensuring you do it – and you write it down. It’s no good having a rough idea of the costs in your head. Instead, you need a spreadsheet or sheet of paper that outlines the various costs to give you a total figure for the work. Include Contingency Money – Make sure you include contingency money from the start and remember to adjust this as you finalise the budget if the figures change. You need contingency money because you can’t foresee everything when doing renovation or building work in your home. The contingency money will pay for the unexpected. You should allocate about 10 percent of the overall budget as contingency money. Look Realistically at How Much You Have to Spend – This is the most important part. After all, you can set whatever budget you want but it doesn’t matter if you are not able to pay for it. Just make sure you are realistic when looking at your finances and deciding what you can spend on the renovation. Why Are You Renovating the Kitchen? – The main question here is: are you staying in the house or do you have plans to sell it in the short-to-medium term. If you are going to sell the house, you’ll want the value of your property to cover the cost of the renovation. How you calculate this is dependent on a range of factors, but, for most houses, the cost of the renovation should come in somewhere between five percent and 15 percent of the pre-renovation value. This is because the new kitchen should increase the value of your house by about the same amount. What is the Condition of Your Home? – You should also think about the condition of your home. If you think it will need repairs during the renovation, you will need to include this in your costs. This means you may have to compromise on other elements of the new kitchen to make the repairs. What Do You Want to Achieve? – Do you want a more modern, stylish, and functional kitchen, or do you want to completely change the space? The latter option is going to be more expensive, particularly if you plan to knock down walls or move the plumbing. What Features Do You Want? – Think about all the features you want in the kitchen. This includes appliances, style of countertop, flooring, and more. You should think of this as your wish list. Decide on Your Priorities – This is the final part and is as important as deciding how much you can realistically afford to spend on the renovation. It involves looking at all the points above including the features you want, the state of your property, and what you want to achieve. You need to match this with what you have to spend. That means prioritising and, often, compromising on some features or elements. 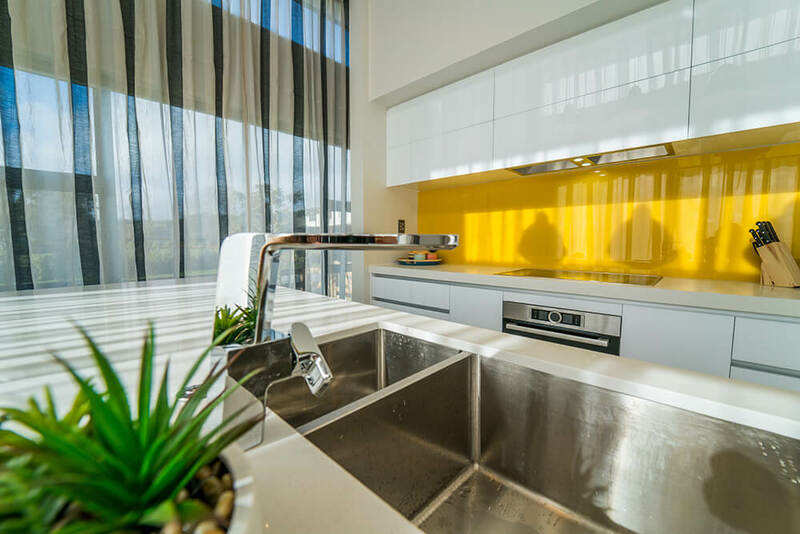 Throughout the process of setting a kitchen renovation budget, a kitchen design professional can be of considerable assistance. They will help you with individual costs as well as guiding you on what is feasible. Then, once you have the budget in place, you can move onto the fun part – designing your new kitchen.